One Oakland Road resident found after using the dishwasher that his glasses and dishes were coated in what looked like frost. However, chloride contamination of wells farther along Oakland Road — such as Riddle’s — is unrelated to the salt storage piles, Doughty said. Riddle, who has lived at 211 Oakland Road property for about 40 years, saw firsthand evidence of the high salt content back in the spring after he ran the dishwasher. Riddle’s tried it twice since then. “If it is determined we are responsible we take actions to resolve the concern,” Doughty said. In several other places along the road, he said, people have seen sedimentation resulting from the blasting that is part of the road reconstruction. In those instances, he recommends letting the water run for a bit until it clears up. Doughty said that once the new wells are drilled, the state will continue monthly water testing for about six months and then move to a quarterly monitoring schedule. 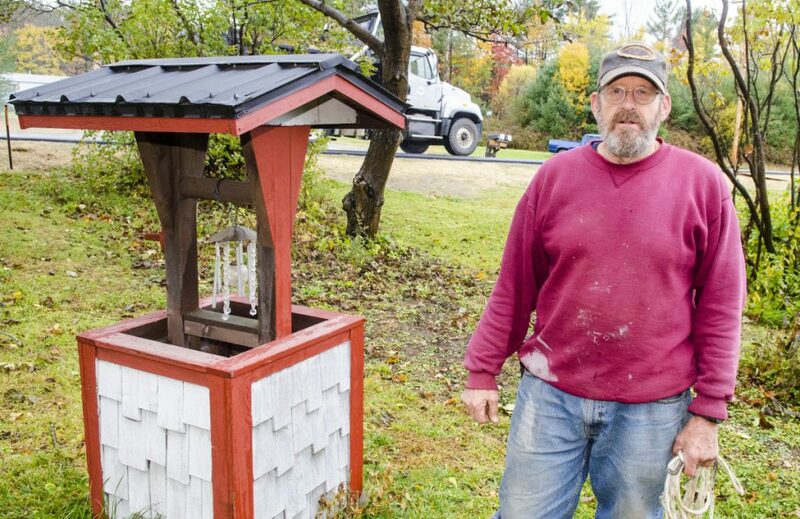 He added that while new wells could be drilled in winter, the challenge would be getting the water lines in, so they might have to wait until after winter. “Ideally we would like to resolve those as soon as possible,” Doughty said. “With the close of construction season, it becomes more challenging in the winter months. “We will work right up until those windows close for construction,” he added.